Children&apos;s Liturgy of the Word (C.L.O.W.) is offered during the 9:00 and 10:30 a.m. Masses for children in kindergarten through sixth grade. Mass readings and discussion are led by catechists during the homily. Children leave the congregation accompanied by their teachers and aides prior to the adult Liturgy of the Word and return during the Offertory. The children are led into a deeper relationship with the Lord in a positive, safe, Christian learning environment. Volunteer Information to Assist with C.L.O.W. 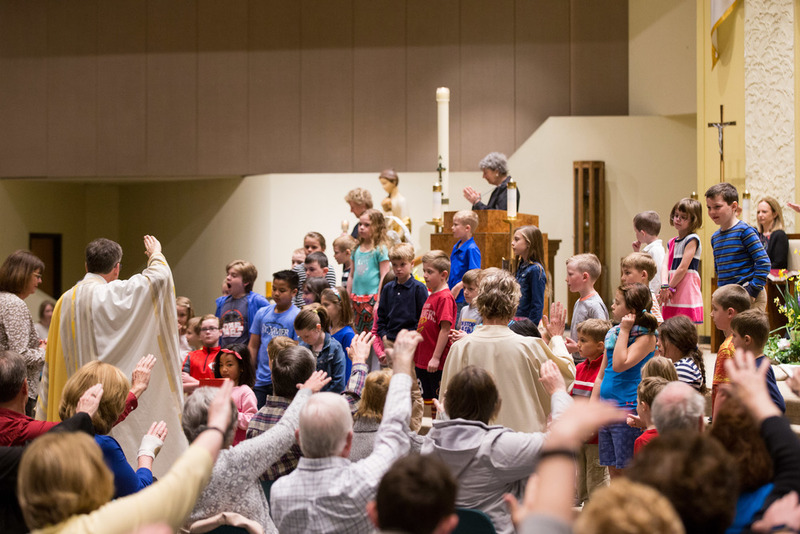 Catechists work with children in grades kindergarten through sixth grade during the 9:00 a.m. and 10:30 a.m. Sunday Masses with readings and a homily directed to the children’s level.